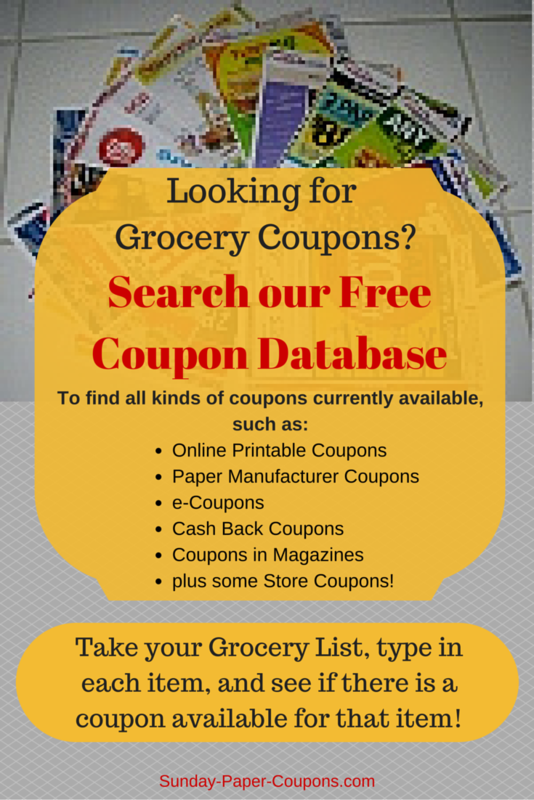 Online coupons: From sources such as: Coupons.com, SmartSource, RedPlum, Checkout 51, ibotta, Hopster and many more! Manufacturer Coupons: If a manufacturer has a printable coupon that is available on their website. Magazine Coupons: For instance, if the coupon is in a magazine, it will tell you what issue to look in for the coupon. Store Coupons: such as Target, Walgreens, etc. It's very easy! In the Search Box, simply type in the product that you are looking for. You can enter a specific product, such as "Tide," or "Tide Laundry Detergent," or you can generalize, "Laundry Detergent". It depends on whether you wish to see all available Laundry Detergent coupons, or just the Tide coupons. Then hit the "Search" button, and all available coupons (from every source) will be displayed (if there are any). If the text appears in blue, then this is a link to an online coupon. Simply press the link for the coupon you want. You can also hit "Advanced Search" and search by Store, Brand, Type of Coupon, Category, Value, Expiration Date, Source, and Product. The "Product" tab is similar to the vague description that we entered for "Laundry Detergent." Use this if you want to see ALL coupons from a certain category/description, such as: Toilet Paper, Allergy Medicine, etc.